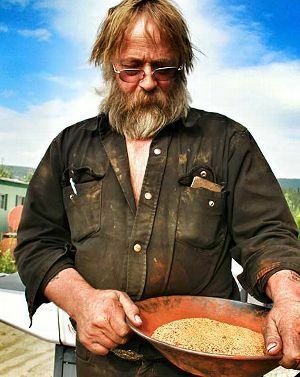 ‘Gold Rush’ Star Tony Beets’ Net Worth is Huge! If you’re like me when you’re watching reality television you wonder how much these “actors” are making per show. For me though, I’m not wondering about Kim K or Caitlyn Jenner, I am wondering about stars like Tony Beets. Beets is a down-to-earth guy who just happens to also be the star of Discovery’s “Gold Rush.” The show follows Beets and his family, who all happen to be gold miners. (It’s a really great program if you have the chance to check it out.) Of course, there’s a ton of money in gold but what is Tony Beets’ net worth and how much is Discovery contributing to it? Tony Beets hasn’t been “on the radar” for too long. His career took a while to take off but, since it has, he has become extremely successful. Beets started out as a gold miner who moved to Canada about 25 years ago. He prides himself on being a Viking and many people even call him “The Viking.” He and his family work at Beets Crew at Paradise Hill. After years of mining reality, television show producers caught wind of Beets’ hard work and wanted to start a show starring Beets and his family. That is when “Gold Rush” got its start. The series began in 2010 and continues to run on the Discovery Channel. People all over the world have been tuning in regularly to watch Beets, his wife and three kid live their lives. 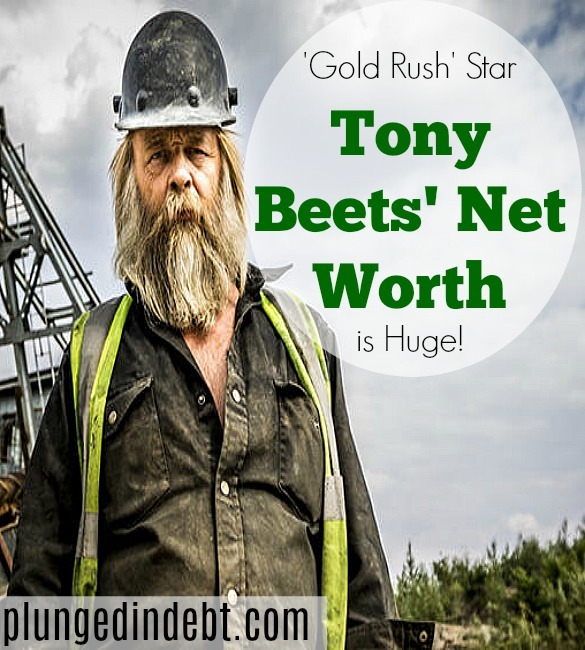 So, if the show has become such a hit, what is Tony Beets’ net worth? Compared to some other reality TV show stars, Beets and his family aren’t absolutely killing the television game but they aren’t doing too bad. Tony Beets’ net worth sits at about $15 million (and almost none of it is from TV). He didn’t amass that amount of wealth overnight though. In fact, Beets is a really hardworking guy. Born in the Netherlands, Beets relocated to Canada to better his life. He started out working in construction and moved on to mining in 1984. He was able to climb up in his respective career and today he runs Tamarack Mine. Tamarack Mine, which is featured in the Discovery series, is run by Beets and his family. They also hire teenagers to come work for them as well. The show that follows the family and other workers at the mine has become one of the network’s highest-rated series. The majority of Tony Beets’ net worth doesn’t come from the reality television show though. Most of Beets’ wealth stems from his gold mine and it is likely that $15 million will continue to grow in the future. According to Beets, his ultimate dream is to be able to own and operate two highly productive gold mines at the same time. If he is able to meet that goal his riches will likely double in the years to come.